That’s right. Space. Particularly the Apollo program. I can’t listen to the Main Title from Apollo 13 without practically bursting into tears, and I certainly can’t watch In the Shadow of the Moon without having my jaw on the floor in awe the entire time. 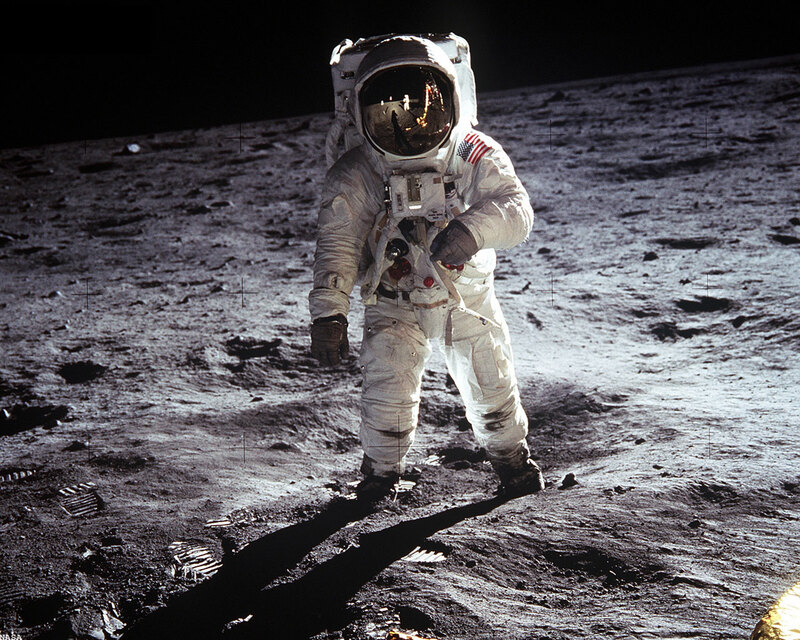 The Apollo missions were just.so.amazing. 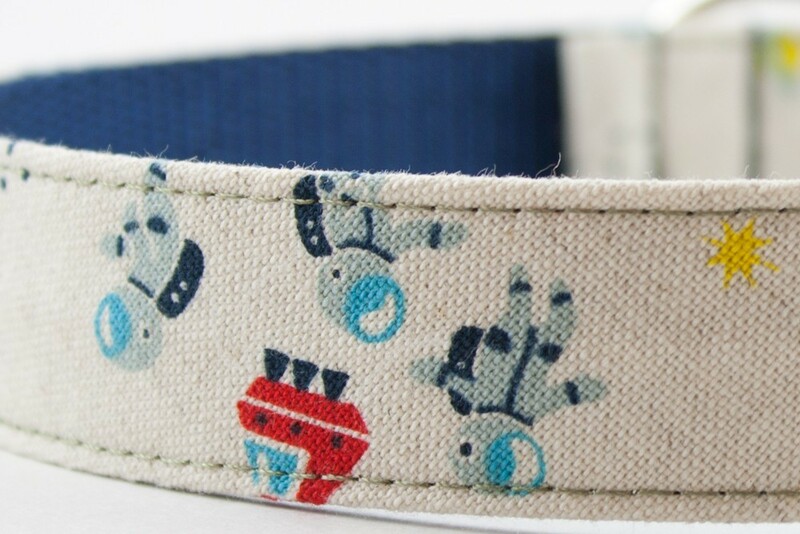 So, naturally, being the geek that I am, I’ve gone searching for some sort of space-related dog products. Call me a nerd, but there are themed products for everything these days. Have you ever been to Etsy? If not, you should probably check it out. And, when you look down and your watch and realize that you’ve been leafing through a ridiculous amount of handmade items for the past 2 hours, don’t say I didn’t blame you. Look what I found!!!!!!!!! Insert squeal here. Silly Buddy, I think I love you. 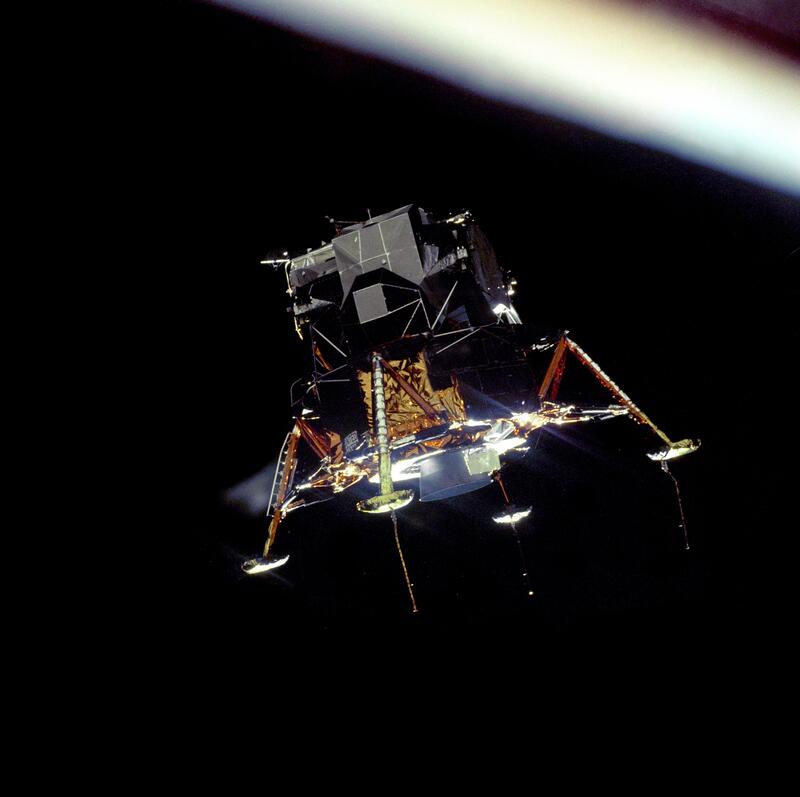 Is that the Lunar Module? 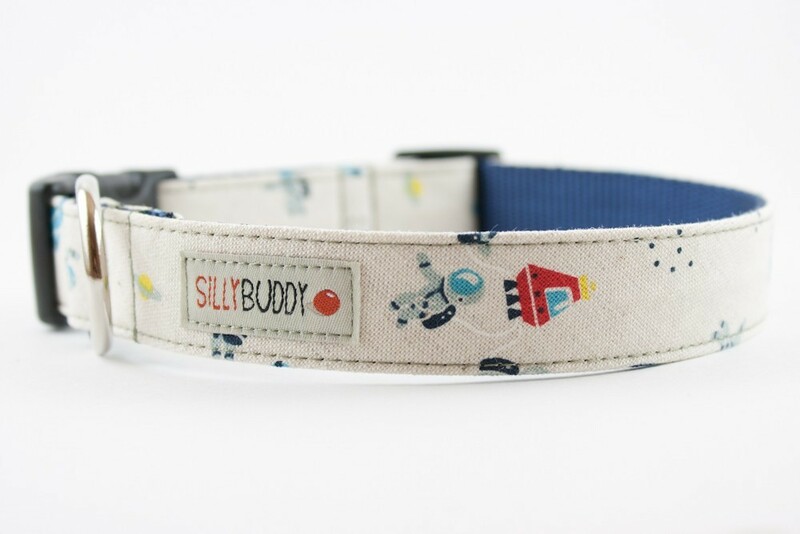 I can’t speak to the quality of the Silly Buddy line, but from the looks of it, this is adorable, high-quality, handmade, unique stuff! 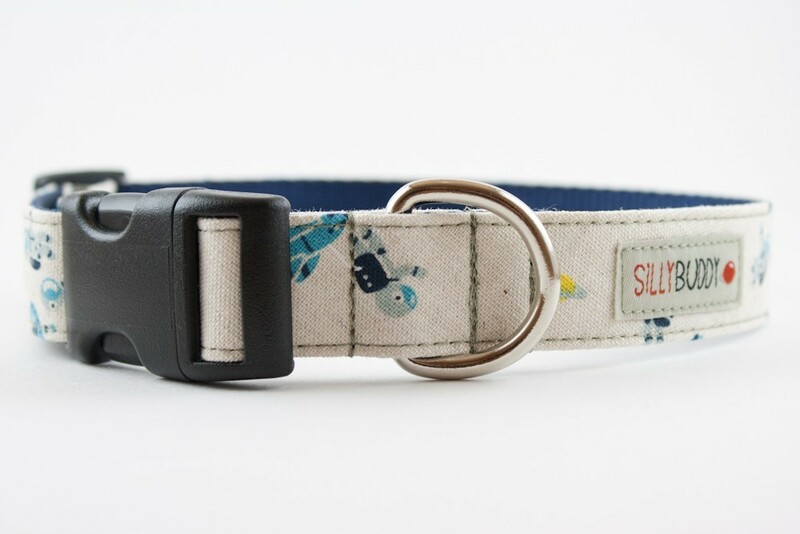 The Silly Collar will cost you either $27 or $30 and the Silly Leash is $37 or $42. Silly Buddy also has a line of bow ties. Quite dapper, if I do say so myself. I think 100% positive feedback says a lot about this Chicago-based company. All right, I’ve geeked out enough for one evening. Posted on April 21, 2011 May 14, 2011 by Shannon	This entry was posted in Closet. Bookmark the permalink. ← Good fer your bones! 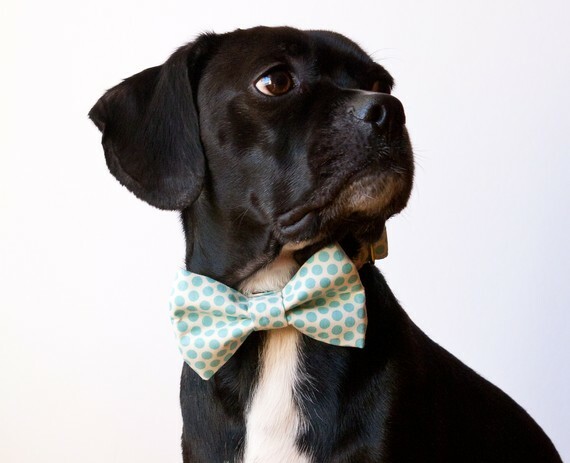 umm, i bet you could have her make you a space bow tie for teton to wear to the nuptials!!! DOOOO IT! Oh. My. Gosh. How did I not think of that?!?!?!?! Doo doo doo dooo dooo doo dooooooooooooooooooooooooo. That’s an understatement! I’ve been thinking about Etsy all day long now! Thank you, Hande! Can’t wait to order from you!